Are you at the stage in your financial journey where you think you might be ready to consider investing your money? If so, this post is going to be right up your street as this month, the UK Money bloggers are talking about all things investing. First of all, you need to consider whether you’re ready to invest and that means thinking about your finances as a whole. There’s a lot more information about whether you’re ready to invest here in Faith’s post but in essence, you should be financially stable with little or no debt, an emergency fund and be paying into a pension before you consider investing seriously. Obviously, that’s just a quick summary so it’s worth popping over and reading Faith’s post in full as it’s a great guide. Once you’ve decided that you’re ready to invest and you’ve sat down and calculated how much you can afford to invest then you need to decide what sort of investment you want to go for. This is the hard part as there are so many different types of investment opportunities out there with varying levels of risk and return. To help you get an idea of what’s right for you, here’s a round-up of what some of the UK Money Bloggers do for themselves…. Katy from Katy Kicker says ‘I personally invest in an ISA, but I also hold £50k myself in premium bonds, ready for when we buy a house this year. My husband and daughter hold premium bonds too, it’s not the best return, hence holding some money in ISAs but it’s fun to win prizes each month!’ To give you an idea of how much when she invested the £50k in premium bonds, Katy shared this post with her readers. Nicola from the Frugal Cottage told me that she’s ‘a dividend growth investor which means I’m investing to create a passive income stream – which is working!’ To give you an idea of what she makes a year, she very kindly shared here 2017 annual dividend report. I’ll let Faith from Much More With Less tell you all about this one! ‘I only finally started investing apart from my pension when I had some money I could salt away for at least 5 years and got utterly fed up with the rock-bottom rates on savings accounts. I use a mix of different kinds of investments, but go for higher risk options as I’m sticking the money away for a long time towards retirement. I invest in a low-cost LifeStrategy 80% fund with Vanguard, which charges 0.22% a year for the fund and 0.15% for the platform, spreads the money all over the world, and rejigs the balance between shares in companies and bonds (a kind of loans). I also hold several investment trusts, where a fund manager picks and choose different companies, hoping to beat the stock market. I’m nervous about trusting my money to brand new companies, so went for investment trusts which have increased their dividends every year for at least 20 years. They charge a bit more: 0.42% for City of London, 0.44% for Scottish Mortgage, 0.49% for Temple Bar and 0.73% for Finsbury Growth & Income. I also have to pay fees to the platform where I hold my investment trusts and keep meaning to move my money to a cheaper one. Jennifer from MamaFurFur is also an advocate of this sort of Investment Trust as you can see in her post about investing for beginners. She has a goal for this to pay for her lifestyle in about 10-15 years with the interest generated. Lynn from Mrs Mummy Penny also invests using a Stocks and Shares ISA and told me that ‘After a years break of paying off debt I am now investing in my stocks and shares ISA again. I have always had one from the age of 22 onwards. Always a great way of getting a nice return on my money for the long-term. I pulled money out of mine 4 years ago to help pay for the house extension. My invested money had doubled in the time I had been investing. Nikki from The Female Money doctor told me how she invests using Index Trackers – ‘I invest into a stocks and shares ISA – index trackers basically. I use Hargreaves Lansdown and find low cost index trackers to cover the UK market and also abroad so I get the best of all worlds. I’m not investing huge amount at the moment because I’m paying off debt, but my reasoning for this is so I get used to putting that money every month into the ISA with the intention of increasing as more debt is paid off and to take advantage of compounding.’ Nikki’s shared a great post about Index Trackers here. Martyna from Money Saving Girl has chosen to invest in property and has a great post about how to survive those first few months in a new property. Also, Sam from The Money Nest invests in property and has a great post to help you decide if that’s the kind of investment for you. Maria from The Money Principle has a few different methods of investment – ‘I have variety of investments (from digital wealth management platforms to owning half a share in an MOT and Car Service garage)’ and regularly updates her readers on how she’s doing. This is a great post to read from her blog about investing for beginners! Catherine from The Money Panel has lots of experience when it come’s to investing. ‘I have been in financial services as an adviser for 17 years so am used to speaking to people daily about different types of investments. I personally have invested every year on a monthly basis into ISA’s and pensions. I’ve never had enough to save in excess of the annual ISA allowance. I’ve invested in passive and actively managed funds and review them each year. I’ve shifted more towards passive investments in recent years as research and my returns have shown little-added value in managed funds in comparison to passive funds. I started off slowly by investing some of my salary in the Sharesave scheme that my work offer. The first £600 I invest per year is matched by my company so definitely something for you to consider if your work do something similar. 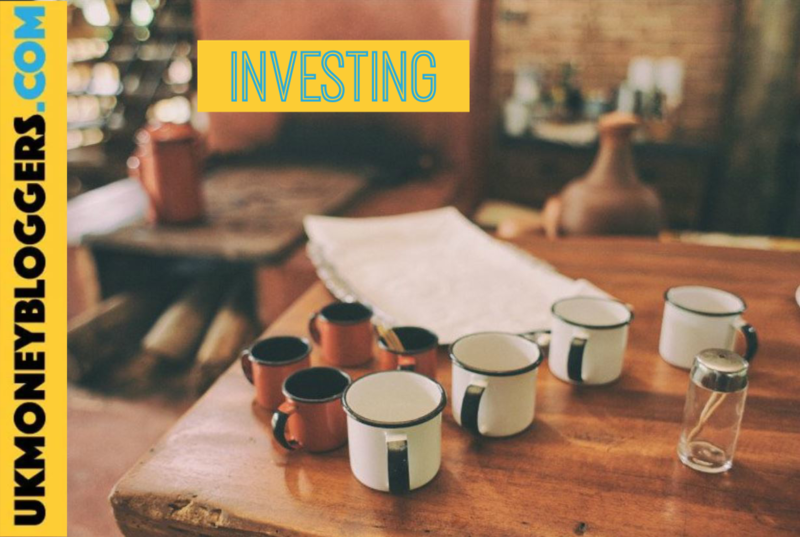 So, there’s a few investment ideas to keep you going but as Becky says ‘you don’t need to take big risks or invest big amounts, you can get yourself comfortable and get educated by taking small strides till you feel confident’.